How Faith Can Overcome Fate..
We wake up every morning presenting ourselves to the world as a Warrior of life. Everyone is a Warrior, therefore it is important to begin with the description of this *archetype. What is a warrior? A warrior is a way of life, a way of thinking, a way of being. There is a quote regards that we choose only once, to be warriors or ordinary. We choose only once by Carlos Castaneda. For instance choosing to be a warrior alters your fundamental approach to life. While others will view everything as a blessing or a curse, you will probably see only challenges. But keep in mind that a warrior lives to overcome challenges. Every warrior has a code, and ethos. It is an invisible thread that connects him to all of his warrior brothers and sisters since the beginning of time. Steven Pressfield asks “How do we find our true calling, our soul companions, our destiny? Although A warrior should never hopes, faith must be kept. Hope is powerless, useless… The longer we sit and hope the more time we waste, because the universe gives only what is sought, what is believed! Indeed, a warrior must have faith. Because at times not every path is clear, and not every enemy a fiery dragon. When the forest is dark the warrior holds his ground with faith that if he remembers the warrior code, the light to illuminate the darkness will come. Our body is as important as our mind, therefore they should be inseparable. A warrior is not an *ascetic. The Warrior does not deny himself the pleasures of conquest simply for the sake of denying them. Not a very good display of a balanced Ego. There is always the option of walking away from these pleasures at anytime, which in order to balance self-oriented leadership, should be necessary to detach from that shadow and grow. “Follow me” without leading by example. When Alexander the great was threatened with mutiny after years of a brutal campaign in India, he stripped down naked, so all the men could see his scars. because it was Alexander, riding his horse Bucephalus with a double plumed helmet who led every charge. Instead, his men erupted in cheers and pounded their shields. 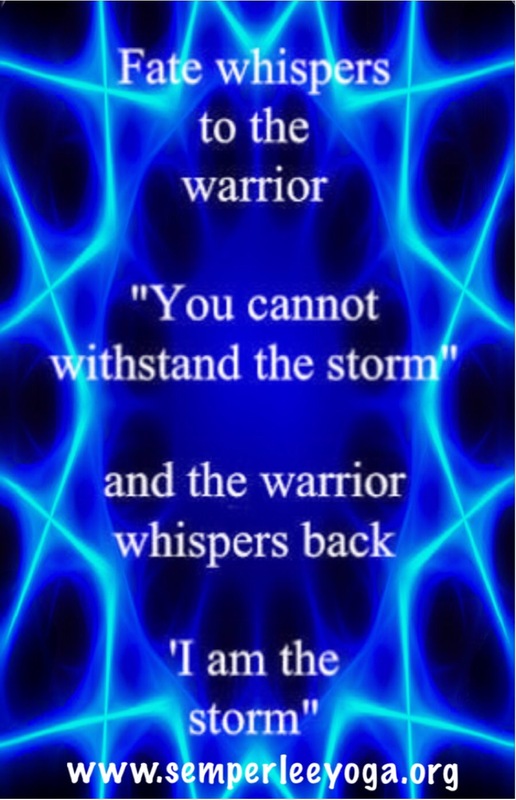 The Warrior is a Believer. The Warrior never loses the Faith. Because he is certain that he will find love, love appears.” as the famous writer Paulo Coelho said. A warrior is highly tuned to sense danger, but does not fear. keeps awareness that fear feeds fear itself. Therefore, pain should be temporary and death just a simple illusion. The warrior knows that there will be laugh, love, and probably fight for all eternity, in this world or some other. Wandering, indulging in self pity, or complaining are not part of the Warrior code. Although there is no despair, there is conscious awareness remembering that it was always a choice he or she made. A Warrior embraces self darkness pursuing as outcome to balance Ego and Own his or her Shadows, before any attempt to judge or criticize others. “I am going to be a storm — a flame — I need to fight whole armies alone. I have a hundred arms! I feel too strong to war with mortals. Previous postThe Power of Meditation and Prayers.